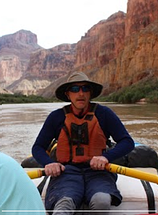 In July 2015, Mark Jaben had the opportunity to be part of a private permit 16 person, 16 day river trip on the Colorado River through the Grand Canyon. Prior to leaving, Maggie Millard challenged him, almost tongue in cheek, to return with stories about Lean. Little did either know or expect the lessons on kaizen, leadership and continuous improvement that would emerge. Check out his first article on Kaizen in the Grand Canyon here. Marie Louise wakes abruptly and sits bolt upright. 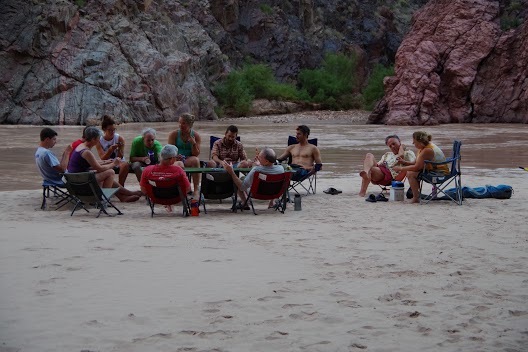 In July in the depths of the Grand Canyon, the coolest place to sleep is on the rafts, but she is on a cot at the river’s edge. She has relived the day’s event - her boatman realizing he has misread the rapid, has underestimated the current with no time to correct, and instead squares up straight into the biggest hole on the Colorado River. The bow of the raft slams to a stop, slowly rises up, is covered as the water comes crashing over them, pauses for a moment, then violently rolls to its side, ejecting all three passengers into the maelstrom and chaos of Lava. For a moment it is quiet and dark. Then Marie Louise pops into daylight only to realize it is not done yet. Thrashed from one huge wave to the next, she is carried downstream, but at some point, she is still ok and pats the top of her helmet in the universal river sign to let the others know she is alright. Kayakers appear to give her a safe tow to the shore. She looks around and is relieved to find everyone else is fine, too. 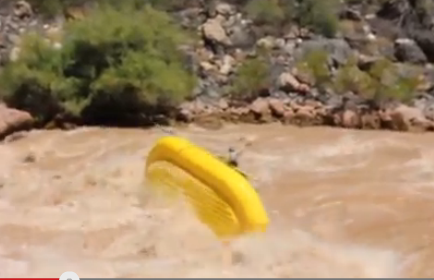 It takes several miles of continuous water to corrale the upside down raft and eventually flip it back right side up. ‘Rigged to flip,’ everything is still there. There are only a few bruises and scrapes; the real soreness won’t show up until tomorrow. For now, it has become a good story to tell, as the catastrophe becomes mortar that further binds the group together. But for Marie Louise, it is still not over. The brain works by making connections, forming patterns and standard responses to those patterns, rewiring them by the experiences it has, all the while searching for those that provide a higher likelihood of survival and success. This process, called neuroplasticity, enables us to learn and adjust. Practice reinforces the pattern, making that choice more available in the future, as the brain needs less attention and focus to make use of that standard. But neuroplasticity also includes pruning away patterns that are not used very much and are not so valuable, leaving precious limited bandwidth available for those that are. Memories reside in several places in the brain, but those that are the most impactful, and therefore most likely to help us in the future, reside in the hippocampus, adjacent to the amygdala, the flight/fright/ stress response area concerned primarily with one’s self interest and personal survival. One does not recall or have access to all their memories. A person recalls those that mean the most, but no matter how well these are imprinted in the brain, they change over time. So, however you recall an event, it is likely not the way it really happened. And it is always a mystery what the brain connects in its wiring, what it chooses as impactful and meaningful, and what it holds on to. Through kaizen, the step by step testing of options, trying possibilities to learn what does not work or is not workable so as to reveal what does work, we are giving our brain credible evidence and experience to promote beneficial patterns and prune away those that are not so valuable. The brain does not let go of these patterns easily. After all, that pattern may not have led to the best choice, but at least you are still alive. And who knows when you might need it again. The fact is a person cannot consciously or rationally will away those connections. The brain will not ‘change its mind’ without evidence there is enough likelihood a more successful pattern and response exists. So all those experiences and memories staff have of failed improvement attempts; all those previous failed initiatives managers have tried to implement; all the efforts leaders have tried that came up short- these all weigh heavily in what a person recalls and in the brain’s assessment of what is likely to be more successful. Kaizen provides perspective to those memories that we use to justify why something won’t work or why it failed in the past or why your choice and suggestion is just not good. Kaizen helps to overcome our tendency to trust those inaccurate memories. So it is with staff, managers and leaders . You cannot really change anyone’s mind; only their brain can do that. And only then when it has a reliable enough experience and credible enough evidence. That is what makes Kaizen so powerful.